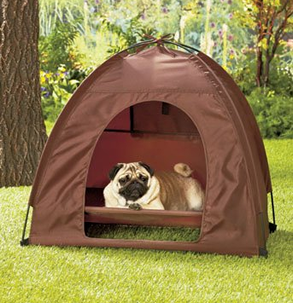 Pet Bed and Tent Sets keep your dog in comfort wherever the two of you go. 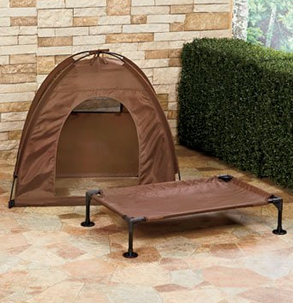 Use it inside and outside to create a space just for him. 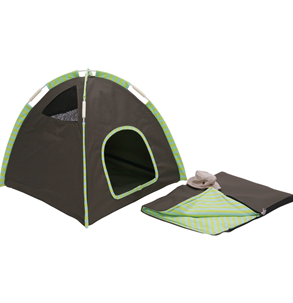 If your dog goes camping with you, this foldable, water-repellent set will keep him safe and comfortable at night and provide shade during the day. The cot-like bed ensures he does not have to sleep on the hard ground. 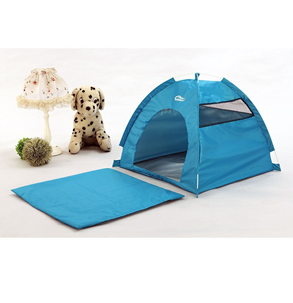 It fits inside the matching dome tent. Both pieces have fabric-magic tabs that connect them to their frames and each other. 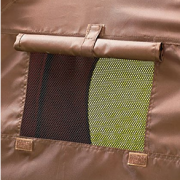 The back of the tent has a small, netted ventilation window with roll-up flap that can be secured by fabric-magic tabs. Set comes in a bag for easy transportation and storage. Bag can hang from a hook and it has a carry strap. 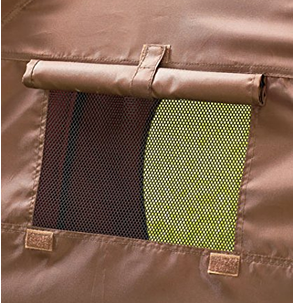 Large tent, 32-3/8″ x 28-1/2″ x 21″. 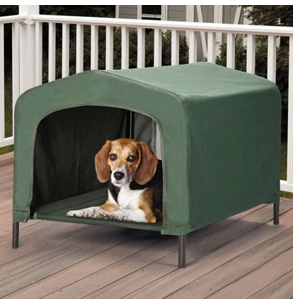 Large bed, 29″ x 18-1/2″ x 6″. Polyester, metal and plastic. 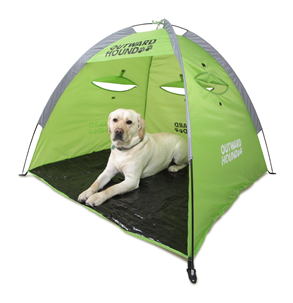 Outdoor gear just for your best friend. Roll-up ventilation window in back. Large tent, 32-3/8″ x 28-1/2″ x 21″ Large bed, 29″ x 18-1/2″ x 6″.